This programme has been designed to allow you to undertake a flexible course in further learning above the level of an honours degree and to give you the underpinning knowledge for registration for Chartered Engineer (CEng). There is a substantial demand for capable engineers in the high-tech world of motorsport. Our dedicated MEng Motorsport Engineering will put you on the fast track to a dynamic career at the highest level in this global industry. Take part in exciting projects like Formula Student, the world’s biggest student motorsport competition. Employable Graduates – we’re ranked 15th highest amongst all UK universities and 12th for English institutions with 96% of graduates in work or further study within six months of completing their degree: HESA 2016. Highly specialist and distinctive, our MEng Motorsport Engineering will equip you with the skills and confidence to set you apart in the eyes of prospective employers. It enables you to move smoothly from undergraduate to masters level learning in a single study programme. Our MEng is designed as a flexible course which will take you above the level of a traditional degree. 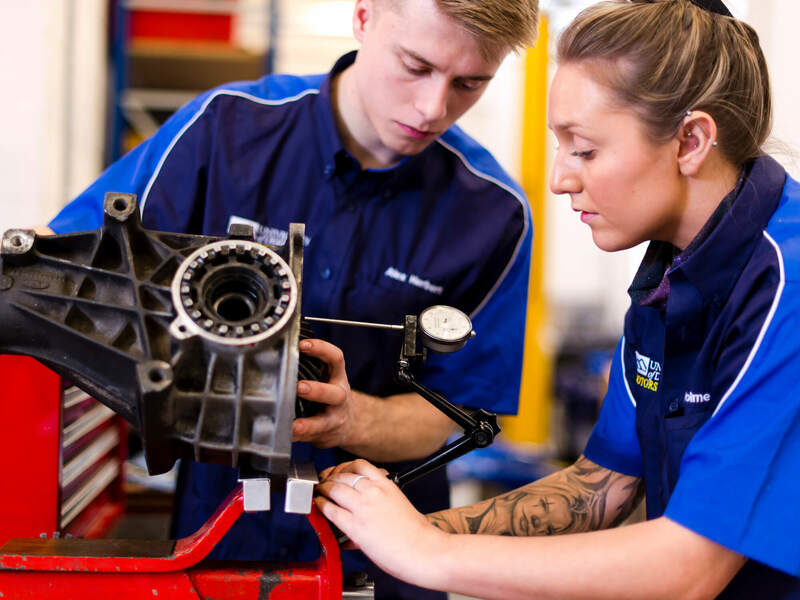 You will initially study Motorsport Engineering at honours degree level and then build on that platform of knowledge with further study at postgraduate level. You will graduate fully equipped with all the appropriate skills to practise successfully as a professionally recognised engineer within the motorsport industry globally. You will also have the underpinning knowledge for registration as a Chartered Engineer (CEng). Current roles within the motorsport engineering industry are extremely technologically challenging, with ever-increasing paces of change and development. Larger motorsport teams and industrial suppliers now operate on a global scale. The MEng qualification will help you to meet the challenges presented by this constant drive for improvement. Designed with guidance from leading professional bodies, it enhances your understanding of engineering principles so that you can make crucial decisions about complex areas of technology, environment, materials selection and failure analysis. You will also be skilled in assessing the most appropriate and cost-effective use of both time and resources. You will explore all the relevant technologies and their applications across the complete range of modules on the programme. Your studies will also be underpinned by academic concepts and practical work so that you have the right level of competence for a career that will take you far. You will be assessed using a mixture of in-course assessments, case studies, presentations, reality-based assessments, examinations and professional presentations. This is a new programme introduced in 2017. Previous graduates from our BEng programme have followed careers not only in Formula 1, but also in a wide variety of other motorsport areas. Roles have ranged from data technician to chassis designer to team boss. Students who are prepared to work hard invariably do extremely well in their careers after graduation.